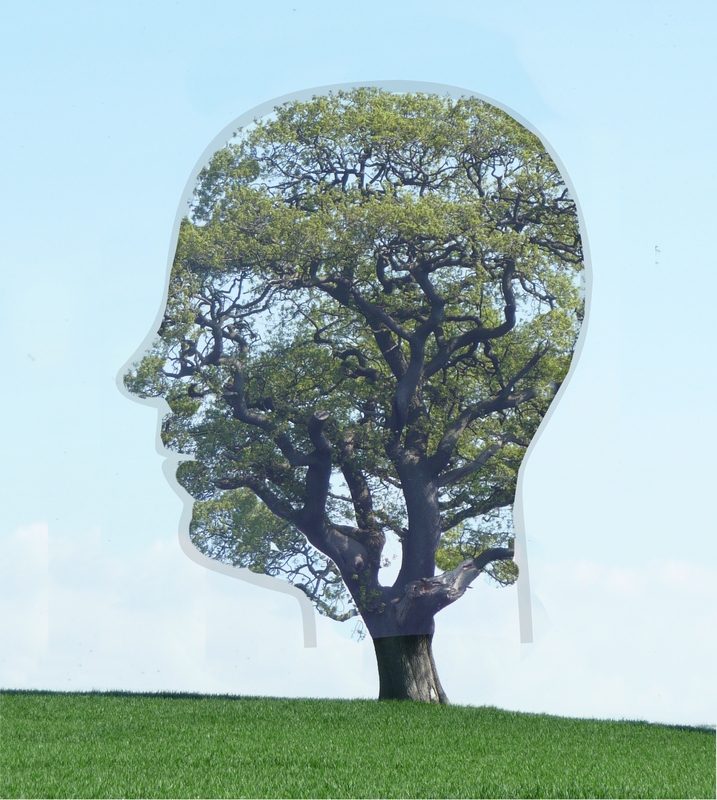 Does a Green Mind include Emotion? There’s a river close to home I visited most weeks for five years. It’s the place I found my own reconnection to nature. After 9 months doing other things I returned recently. Hearing the voice of the shallows and feeling the freedom of the flatlands beyond was surprisingly powerful. It was a renewed contact with nature – full of meaning, beauty, compassion for the fallen ash and notable emotion. The river was calming. The sand martins brought joy. It reaffirmed to me that our connection with nature, and many of the benefits of nature are affective – and that there are two types of positive affect that help us function well. Then, when a sheep burst unexpectedly through the herbage of summer, I experienced a third type of emotion! The trip made me think about a paper published recently that proposes a ‘Green Mind Theory’ (GMT) on the link between the brain, body and wider environment (Pretty et al, 2017). It’s based on a two-part model of brain function and the links to the nervous system. It has an evolutionary basis much like our paper in Evolutionary Psychological Science published last year (Richardson et al, 2016) which shows how the ‘3 Circles’ model (Gilbert 2009) explains changes in nervous system balance seen when in nature. The 3 Circles model considers similar research into the balance of the nervous system, but also includes research into positive and affiliative emotions – after all many of the well-being benefits of nature are related to positive affect . The GMT paper sets out to consider the two-part model within a wider context of living (which is done very well) and habituation. In this blog I take a look at the two models and discuss some differences. Like the ‘3 Circles’ model, the brain metaphor that underpins GMT is based on different stages of brain evolution. The brain stem, or bottom-brain, contains primitive fast responding and automatic functions to enable survival when a threat lurks in the bushes. GMT explains that the top-brain is the most recent in evolutionary terms, a slower functioning area that brings learning, decisions and social aspects of living. The top-brain drives the parasympathetic nervous system (PNS) associated with rest and digest (labelled contentment within the 3 Circles model). The bottom-brain drives the sympathetic nervous system (SNS) associated with fight and flight (covered by drive and threat within the 3 circles model). The mid-brain associated with emotion, memory and bonding isn’t included in the GMT model. Similarly to 3 Circles, the ‘green mind’ suggests an optimal mix of mainly activated PNS, mild SNS from interest and excitement, with occasional threat based spikes. GMT suggests that the immersion-attentiveness brought about by certain activities calms the mind through activating the PNS. Based on Attention Restoration Theory (ART), GMT highlights the importance of resorting attention capacity, with activation of the PNS the key mechanism. ART centers on directed attention, which requires distracters to be ignored. Directed attention, which can be aligned to drive and threat within the 3 Circles model outlined below, is common as modern life requires cognitive effort. ART proposes that natural environments (but it can be non-natural stimuli) are restorative for depleted attention resources as the soft-fascination of nature provides involuntary attention which facilities calm, rest and contemplation – seems sensible as our senses evolved to make sense of the natural world after all. This brings balance in GMT to the top and bottom brain. So, ART is based on restoration, and provides a good understanding of the restorative benefits of nature. However it tends to focus on short-term benefits rather than eudaemonic wellbeing (functioning well) and is based on the proposition that nature primarily provides restorative benefits. Our understanding of how wider psychological wellbeing is promoted and sustained by nature is much less developed than short-term restoration, yet there is a desire to deliver health systems that support psychological wellbeing in flourishing communities (Cleary et al, 2017). However, nature connectedness, which includes our an affective relationship and feelings towards nature, is associated with eudaemonic wellbeing indicators and provides a potential pathway to them. Like nature connectedness, affect is core to the 3 Circles model of affect regulation, and supports an account that nature provides benefits when resources are not depleted. The 3 Circle model encourages a perspective of wellness through the balance of positive, affiliative and threat based emotions, which also impact on the nervous system and SNS/PNS balance. Clearly we’re touching on emotion (or positive affect) already – and coincidentally, Michael Gove recently said that “My commitment to the environment springs from the heart and from emotions“. Emotions matter so let’s consider this further. Emotions have a biological basis and the affect-regulation system controls our heart-rate, muscles and the way our brain functions – put simply, when considering regulation and habituation, emotions should be considered (Kappas, 2011). Positive affect, which is boosted by immersion in and connectedness to nature, is relaxing; chemicals flood through the brain, broadening our processing and horizons. With negative affect we focus on an issue, and our muscles tense, ready to respond: very useful to our ancestors when they were threatened by a nasty snake, but frustrating to us when we ruminate on a deadline at work or someone’s unkindness. So, emotions also provide the impetus for action and motivation, impacting the body in a manner that cognition alone cannot (Gilbert, 2014). Finally, for wellbeing emotions need to be balanced (Kappas, 2011). Many of the wellbeing benefits of nature relate to positive affect and emotion. And Ulrich (1983) noted two types of positive affect – wakeful relaxation and positive emotional reactions to nature. However, the majority of studies into the benefits of nature, and a connection to nature, have focused on, and found increases in, a single dimension of positive affect (McMahan & Estes, 2015). Howell & Passmore (2013) note, as I’m sure you have all experienced, that nature can elicit feelings of ecstasy and wonder, and foster feelings of comfort. Research in neurophysiology has also found two types of positive affect which link through to physiological changes (Fredrickson, 2001). The 3 Circles model also includes two types of positive affect – drive or contentment (Gilbert et al., 2009b; Gilbert, 2014). the balance between the sympathetic and parasympathetic nervous system (Porges 1995). research into the threat system by LeDoux (1998) and Panksepp (1998). research into the review of affiliative and positive emotions by Depue and Morrone-Strupinsky (2005). Drive (SNS activating) – positive feelings required to seek out resources, and nowadays achieve success at work or in leisure. It’s about a wanting (that can bring joy and pleasure) as we pursue things (as a falcon does). Contentment (PNS activating) – has an affiliative focus bringing different positive feelings, for example safety, soothing, affection, kindness and a positive calm with the way things are (represented by the ash tree). Anxiety (SNS activating) – feelings and alerts generated by the threat and self-protection system. Located in the fast-acting amygdala this system can be both activating and inhibiting (represented by the wild boar warning). For wellbeing we need a balance between the three dimensions – happiness and satisfaction comes through balancing threat, drive and contentment. For example, when our threat response is overactive, an unbalance caused by being constantly driven to achieve at work (or school) for example, our positive emotions are reduced and we can become anxious or depressed. Paul’s work used this ‘3 Circles’ model as a foundation for Compassion Focused Therapy (CFT), used within the NHS to overcome mental health issues. Our research shows that it can also explain how exposure to nature affects our body, our emotions and our well-being. We can see that, drive and contentment can be mapped onto the positive and relaxing reactions to nature noted by Ulrich (1983). 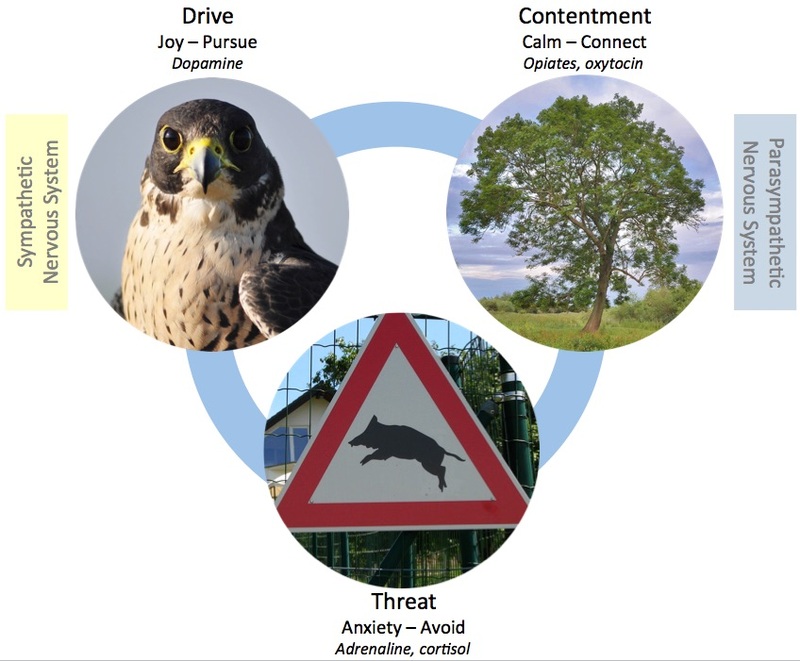 The balance between drive and contentment also fits the long-standing account of two phases of positive states, appetitive activity ‘doing’ and consummatory response ‘being’ (Tinbergen, 1951). Once a goal is achieved (e.g. a resource obtained), drive systems need to be ‘switched off’ to balance energy expenditure and provide positive affect in the form of contentment. This system is linked to the PNS. In this respect the contentment system is seen as affect-regulating (Depue & Morrone-Strupinksy, 2005) and is distinct from the drive system and feelings of excitement (Gilbert et al., 2008). 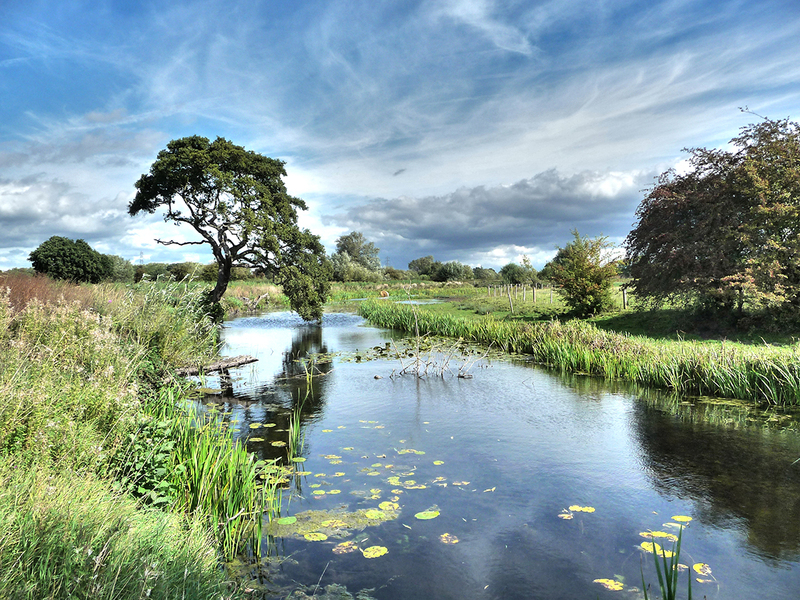 It has been recently argued that connection to nature has modern clinical relevancy and nature should be part of established mental health care. The 3 circles model already provides a proven basis for mental health care through CFT. This shows its utility for improving the understanding of mental wellbeing and delivering successful mental health care interventions. Our research has shown that the 3 Circles model of affect-regulation can be applied to explain the benefits derived from nature. To shows this, we re-analysed a dozen or so previous studies (mostly Japanese Shinrin-yoku or forest-bathing studies) that had compared how the body reacts to being immersed in nature (woodland), to being in an urban environment. The results of the analysis supported the story told by the 3 Circles model. Finding that being in the woods was calming – activating the parasympathetic nervous system associated with contentment. Whereas the urban environment stimulated the sympathetic nervous system associated with drive and threat. However, some people weren’t soothed by the woodland, others were stimulated by it! Again, the 3 circles can help explain this. Some people could experience threat in the woodland, feeling anxious about what lies in the undergrowth – is that a boar rustling? There’s also research to show that happiness and joy can be brought about through nature (and connection with nature is about an emotional relationship). So, those more in tune with nature could feel joy at being asked to spend time in the woods – at any time an exciting falcon may fly past! This would bring increased SNS, rather than PNS activated calm. Let’s return to the river. I arrived feeling well. I left feeling joyful. Nature is not just about restoration from fatigue. It is about psychological wellbeing, happiness and personal growth from developing a connection to nature. Nature Connection is about emotion and every person should have an affective relationship with nature. To achieve that, and the wider benefits beyond restoration, we need to include the role of emotions when discussing the relationship of people and nature. Cleary, A., Fielding, K. S., Bell, S. L., Murray, Z., & Roiko, A. (2017). Exploring potential mechanisms involved in the relationship between eudaimonic wellbeing and nature connection. Landscape and Urban Planning, 158, 119-128. Depue, R. A., & Morrone-Strupinsky, J. V. (2005). A neurobehavioral model of affiliative bonding. Behavioral and Brain Sciences, 28, 313–395. Fredrickson, B. L. (2001). The role of positive emotions in positive psychology: The broaden-and-build theory of positive emotions. American Psychologist, 56(3), 218. Gilbert, P. (2009). The compassionate mind: A new approach to the challenges of life. London, UK: Constable & Robinson. Gilbert, P. (2009b). Introducing compassion-focused therapy. Advances in Psychiatric Treatment, 15(3), 199-208. Gilbert, P. (2014). The origins and nature of compassion focused therapy. British Journal of Clinical Psychology, 53(1), 6-41. Gilbert, P., McEwan, K., Mitra, R., Franks, L., Richter, A., & Rockliff, H. (2008). Feeling safe and content: A specific affect regulation system? Relationship to depression, anxiety, stress, and self-criticism. The Journal of Positive Psychology, 3(3), 182-191. Howell, A. J., & Passmore, H. A. (2013). The nature of happiness: Nature affiliation and mental well-being. In Mental well-being (pp. 231-257). Springer Netherlands. LeDoux, J. (1998). The emotional brain. London, UK: Weidenfeld and Nicolson. McMahan, E. A., & Estes, D. (2015). The effect of contact with natural environments on positive and negative affect: A meta-analysis. The Journal of Positive Psychology, 10(6), 507-519. Porges, S.W. (1995). Orienting in a defensive world: Mammalian modifications of our evolutionary heritage: A Polyvagal Theory. Psychophysiology, 32, 301–318. Pretty, J., Rogerson, M., & Barton, J. (2017). Green Mind Theory: How Brain-Body-Behaviour Links into Natural and Social Environments for Healthy Habits. International Journal of Environmental Research and Public Health, 14(7), 706. Tinbergen, N. (1951). The study of instinct. Ulrich, R. S. (1983). Aesthetic and affective response to natural environment. In Behavior and the natural environment (pp. 85-125). Springer US.